I’m SO damn excited about my new project… I’ve been working for months on it and it’s finally ready to be revealed! Journey – The Kakapo of Christchurch is a two week participatory public art project for Christchurch, utilising the Kakapo’s journey to recovery as a metaphor for Christchurch’s journey to rebuild. The Kakapo is the world’s heaviest, flightless parrot. It’s native to New Zealand and it’s currently critically endangered. In the 70s the Kakapo was almost wiped out – only 18 remained. Since then, the Kakapo has been on its own journey of healing thanks to a conservation group called Kakapo Recovery. Even though the Kakapo is still endangered, there are now there are 124 birds alive and well in the wild. Each one has a name – like Sirocco, the Kakapo Recovery program ambassador. From the 13 – 23 of March 2014, I will be traveling to Christchurch to install 124 soft sculpture Kakapo around the city. These birds are then left for the people to find and move, hide, remove, adopt or throw away. Part participatory art project, part game, part scavenger hunt and part social media check in, Journey invites people to get involved with an art project on a very personal level. Running parallel to this installation will be free public craft workshops over two weekends, supported by Gap Filler and presented in their Pallet Pavilion, where the general public will be invited to make their own Kakapo to keep or to install on the streets for themselves as a gift for others. 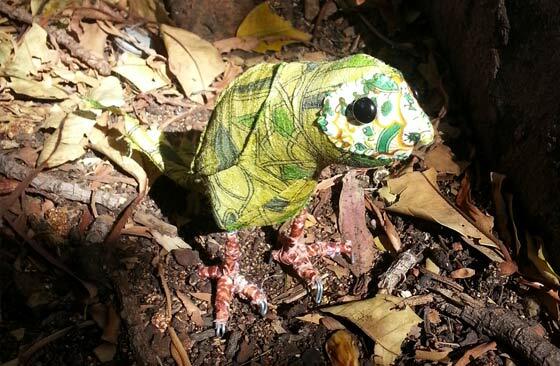 These workshops will offer a simple felt Kakapo pattern with local crafters on hand to help if needed. But Journey needs YOUR help. 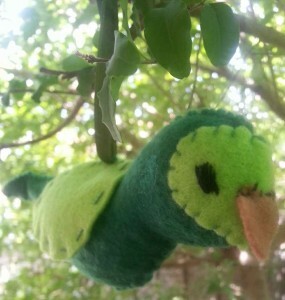 Creating 124 soft sculpture Kakapo to leave around a city isn’t cheap. Nor is giving away free crafting kits, running free crafting workshops, or even getting to Christchurch itself. To make this project a success, I need your help. I’m running a crowdfunding campaign to raise the money to make it happen. There’s loads of lovely rewards that can be send to you or someone else as a sneaky gift! I’d love you to help fund Journey, and spread the word around. With your help, I can create a fortnight of Guerrilla kindness for the people of Christchurch.